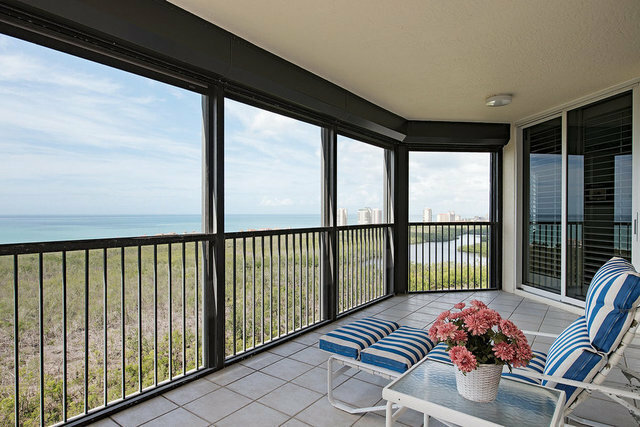 This is a truly unique residence in a one-of-a-kind luxury high rise building offering full service including dining and room service in the heart of Pelican Bay in Naples. Providing over 3,860 square feet of under air living space this 20th floor three bedrooms, four baths plus den residence comprises three large east and west terraces displaying panoramic views of the Gulf of Mexico, Pelican Bay Golf Course and Preserve. Including plenty of storage space, two deeded under building parking spaces and electric hurricane shutters, the outstanding features go on and on.